Fresh homemade rolls with ground beef and veggies. A vegetarian’s favorite consisting of assorted veggies accentuated by the aromaof mushrooms. A delightful fried appetizer made with minced crab meat and cream cheese. Chopped chicken breast meat sautéed with Asian delights. Served with four (4) crisp lettuce cups. Made with fresh ground pork and veggies. Pan-fried (or steamed) to perfection. Slow-cooked pork ribs with honey-garlic glaze. Tender roasted BBQ pork sprinkled with sesame seeds. Battered prawns deep-fried to golden brown. Fried chicken wings smothered in spicy Szechwan sauce. Marinated in special house Teriyaki sauce. Ground pork wrapped inside crispy, golden brown wontons. Six traditional appetizers to start your dining experience. Traditional soup with wontons, shrimp, chicken, beef, and assorted veggies. A delightful soup consisting of Chinese soft noodles and Asian vegetables. Your choice of Vegetarian, Chicken, Beef, Pork, Shrimp, or House Combo. Creamy soup with chicken white meat and corn. Veggies, mushrooms, and tofu in a light, clear broth. An Asian favorite consisting of shrimps, scallops, lobster, and crabmeat with assortment of veggies in light, refreshing broth. Selection of shrimp, scallops, beef, roast pork, and chicken sautéed with Chinesevegetables. Sliced chicken with shrimp (or lobster) combined with veggies in a clear, wineand garlic sauce. Fresh scallops and tender sliced beef sautéed with mushrooms, bamboo, snowpeas, and scallions. Combination of shrimp, scallops, and lobster with assorted vegetables in lightgarlic sauce. Large prawns lightly breaded then tossed into a tantalizing honey and mayonnaise sauce with honey-roasted walnuts. Tender deep-fried shrimp stirred-fried into a fiery sauce. Hot! Hot! Hot! Traditional dish made for the emperor. Combination of shrimp, beef, andchicken sautéed with water chestnuts, mushrooms, bamboo, celery, zucchini, & peanuts. Hunan, China is known for its spicy dishes. This entrée consists of water chestnuts, bamboo, bell peppers, snow peas, and mushrooms combined with chicken, pork, beef, and shrimp. If you like sweet and spicy, you’ll love this! Shredded bamboo, chestnuts, mushrooms, carrots, and scallions stirred-fried with chicken, pork, beef, and shrimp. Combination of sweet & sour shrimp, chicken, and pork topped with pineappleand veggies. Lightly breaded chicken tossed into our spicy recipe sauce with a hint of orange aroma and then garnished with steamed broccoli. Chunks of lightly battered chicken combined with onions and green peppers inour famous zesty sweet and spicy sauce that’s made for a general. Deep-fried battered chicken glazed with a honey, garlic recipe. Lightly breaded beef in our own special sauce with aroma from dried orangepeels. Garnished with steamed broccoli. Combination of Sweet & Sour and Kung Pao Chicken. Sweet on one side, hot on the other. It’s the same as the Chicken Lover’s Platter. Shrimp instead. Slow-roasted duck smothered in special recipe sauce on a bed of vegetables. Tender shrimp with broccoli, snow peas, and water chestnuts in a light, clear sauce. Shrimp, Asian delights and veggies sautéed together with a light, spicy sauce made of fresh minced garlic and chili. Shrimp with assortment of veggies and mushrooms in a flavorful garlic, wine sauce. If you like snow peas, water chestnuts, and bamboo sautéed with shrimp in a light, flavorful, garlic sauce, then you won’t be disappointed with this dish. Assortment of fresh veggies in a rich, flavorful sauce topped with golden-brown fried shrimp. The classic dish consisting of succulent shrimp and broccoli with nappa cabbage, bamboo, and carrots. Stirred-fried shrimp with diced water chestnuts, zucchini, carrots, bamboo, and topped with cashews. Water chestnuts, bamboo, bell peppers, snow peas, and mushrooms sautéed with shrimp in a spicy, Hunan sauce. Shrimp sautéed with water chestnuts, mushrooms, bamboo, celery, zucchini, and peanuts. A true delicacy! Shrimp, onions, green peppers, and carrots sautéed in yellow curry sauce. Please let server know if you would like it spicy! Shrimp with water chestnuts, mushrooms, peas & carrots simmered in a creamy, light sauce. Shredded bamboo, chestnuts, mushrooms, onion, carrots, and scallions stirred-fried with shrimp in a fiery, sweet and spicy recipe. Stirred-fried scallops sautéed with fresh veggies. Lobster meat simmered with water chestnuts, mushrooms, peas & carrots in light, creamy sauce. A unique flavored dish with onions and bamboo served on a bed of fried rice noodles. Lightly breaded chicken tossed in with secret recipe sauce. Sprinkled with sesame seeds and garnished with steamed broccoli. Battered fried chicken glazed with zesty, lemon flavored sauce. Sliced roast pork stirred-fried with cabbage, bell peppers, wood ear mushrooms, bamboo, and water chestnuts. Tofu simmered in sauce made from ground pork tenderloin. nappa cabbage, carrots, and bean sprouts. sprouts, green onions, and eggs. Served w/ four (4) pancakes and hoisin sauce. bean sprouts, and peas & carrots. cabbage, onions, carrots, and bean sprouts. All Entrees include a cup of Egg Drop Soup, Egg Roll, and Fried Rice. sauce with hints of orange peel aroma. shrimp topped with pineapple and veggies. in a delightful garlic sauce. in a clear, wine and garlic sauce. in a flavorful garlic, wine sauce. and peas & carrots in creamy lobster sauce. with shrimp in a light, flavorful, garlic sauce. bamboo, zucchini, celery, and peanuts. Chinese nappa cabbage, and carrots. 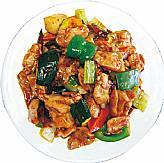 Tender beef stir-fried with bell peppers and onion. snow peas, and mushrooms in spicy Hunan sauce. and mushrooms topped w/ almonds. mushrooms, and zucchini topped with cashews. green pepper in a curry sauce. and onions in a spicy chili sauce. onion and green peppers in our famous sauce. topped with pineapple and veggies. in a spicy chili sauce. peas, bamboo, and water chestnuts. in a light flavorful sauce. in a clear garlic sauce. sprouts. Topped with crispy, fried noodles. peppers, bamboo, carrots, shrooms, and sprouts. cabbage, carrots, onions, and bean sprouts. Copyright © 2010 China Cafe All Right Reserved. Login.